Tim Bradley | May 15, 2017. Now Canada is considering explicitly creating eligibility for PAS and euthanasia to those suffering from mental illnesses. In December, the government tasked the Council of Canadian Academies with conducting a review of several issues related to the law—whether regulations should be relaxed so as to allow for advance requests for PAS and euthanasia, whether minors should be eligible, and whether those suffering from mental illnesses should be eligible. The Council is expected to report back to Parliament by the end of 2018 with its recommendations. Even before C-14 was originally passed, the Parliament considered looser requirements for eligibility. The Senate amended the bill to delete the stipulation that a person’s natural death must be “reasonably foreseeable,” but the House rejected that amendment during the bill’s final passage. The stipulation—that a person’s natural death must be reasonably foreseeable to be eligible for PAS and euthanasia—is unclear on its own, but the proceedings leading to C-14’s passage establish that Parliament already had in mind an extension of eligibility beyond those whose deaths are “reasonably foreseeable,” whatever that language might mean. 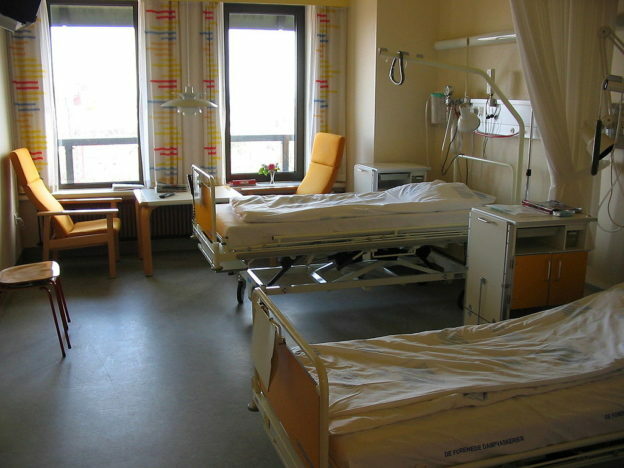 The extension of eligibility for PAS and euthanasia to the mentally ill carries the air of inevitability about it—because it was already countenanced by half of the Canadian parliament during the bill’s original passage, yes, but also because of the logical implications of a society committing itself to the premise that an acceptable response to human suffering for anyone is PAS or euthanasia. These developments give the impression of a steady, unstoppable march towards full access to—and perhaps even forced—PAS and euthanasia, but the history has not been written yet. This evolution is not inevitable. allowing assisted suicide for one vulnerable class of people actually subjects them to the will of others – from greedy or uncaring relatives, to ethically challenged doctors, to society itself. When we exempt a whole class of people from the usual laws protecting life, that’s not about freedom – it’s about the government’s decision that some people are worth protecting, but other people are not, when they are tempted to make self-destructive choices. In addition to the harms that will be done to those suffering from mental illnesses should Canada expand its law, the integrity of the medical profession in that country will be further vitiated. Already in one Canadian province, all physicians are mandated to provide “effective referrals” for patients seeking PAS or euthanasia. Ontario is unique in this transparent disregard for the religious integrity and conscience rights of its physicians for now, but it may not be so for long. Smith details a recent attack on conscience written by prominent bioethicists Ezekiel Emanuel and Ronit Y. Stahl in the prestigious New England Journal of Medicine. In their piece, they argue that health care professionals must provide, at the least, timely referrals to ensure patients receive access to procedures the professional objects to on conscience grounds, if the requested service is “professionally accepted” as an appropriate medical intervention. Emanuel and Stahl consider the provision of contraceptives and abortions to fall within this sphere, but exclude PAS and euthanasia because they are not generally accepted within the medically community. But, Smith notes, that could change rather quickly. When doctors refuse to abort a fetus, participate in assisted suicide, excise healthy organs, or otherwise follow their conscience about morally contentious matters, they send a powerful message: Just because a medical act is legal doesn’t make it right. Such a clarion witness is intolerable to those who want to weaponize medicine to impose secular individualistic and utilitarian values on all of society. Tim Bradley is a research associate at the Charlotte Lozier Institute. Sign up to receive email updates from the Charlotte Lozier Institute.